Ricciardo: “The most intense and challenging season I’ve ever experienced"
Daniel Ricciardo believes his 2018 season in Formula 1 has been “the most challenging and intense” as he reflects and prepares for his move to Renault. 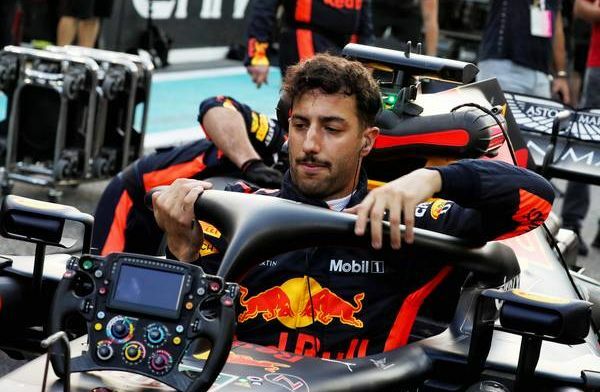 Ricciardo started the year off brilliantly, winning two of the first six races in China and Monaco, but encountered many problems in the second-half with DNF’s and car problems. This resulted in a slip to sixth in the championship standings to finish the year. “One hundred per cent yes. Absolutely.” Ricciardo replied to whether 2018 had been one of the hardest of his carrer in a Q&A with Red Bull. “Even purely on the results, but then with everything else on top of that." The Australian agreed a move to Renault for 2019 to drive alongside Nico Hulkenberg in the summer break. He summed up his season as a “rollercoaster” in relation to his win in Chins, Where he charged into the lead in the latter stages of the race. “But then, to come out of that weekend, I wasn’t just proud of what I’d achieved, I was very proud of the team and proud of everyone who helped me get to that point on Sunday afternoon."